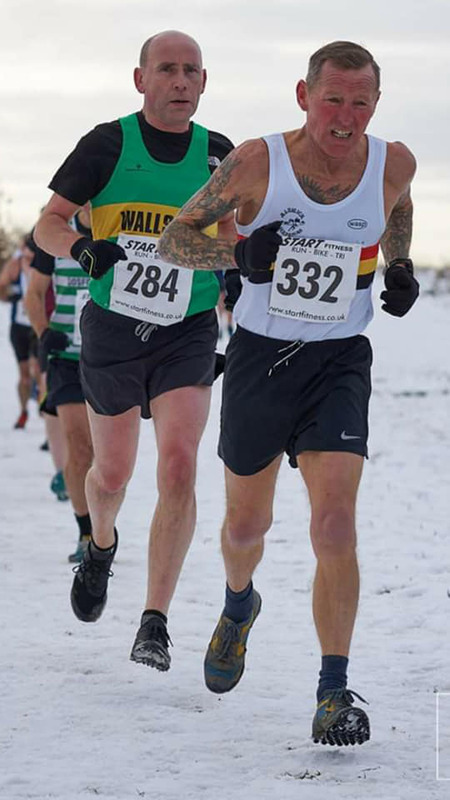 The winter weather was the real winner at the weekend, with the snow severely impacting the race calendar, including the cancellation of the Druridge Bay and Alnwick Pastures parkruns. 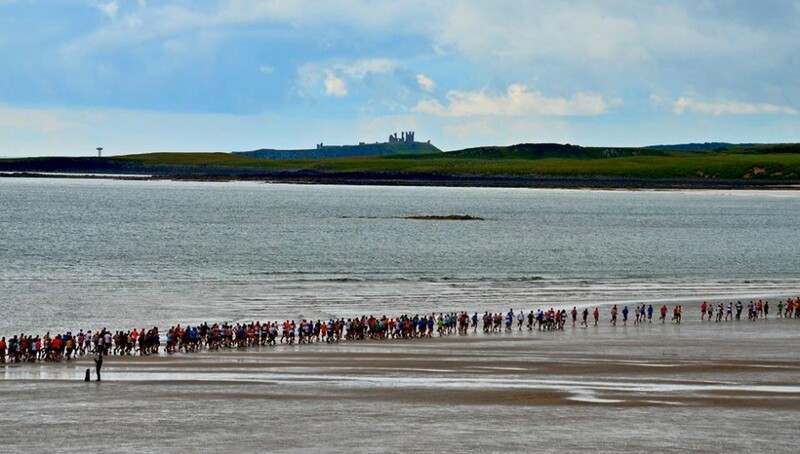 But there were some Alnwick Harriers who were able to compete – and they did rather well! Peter Grey won a silver medal in the M60 category at the North East Masters Cross-Country at Wallsend. He completed the snow-covered course in 37.06. Meanwhile, Jason Dawson was sixth in the M45 section, finishing in 34.29. 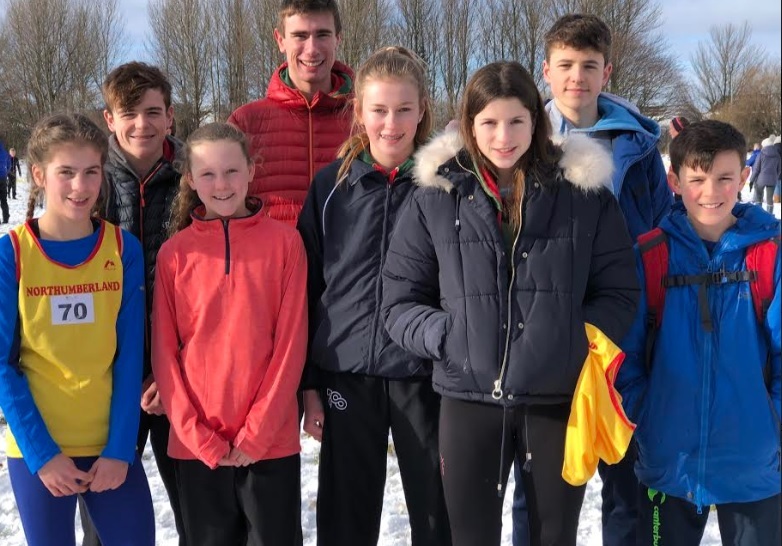 Alnwick has a thriving Junior section and this was shown once again, with eight young Harriers representing the Duchess’s Community High School and Northumberland at the Inter-Counties Cross-Country Championship at Temple Park, South Shields, on Saturday. It was a snowy day but the runners weren’t put off taking on teams from Durham, Yorkshire and Cumbria. 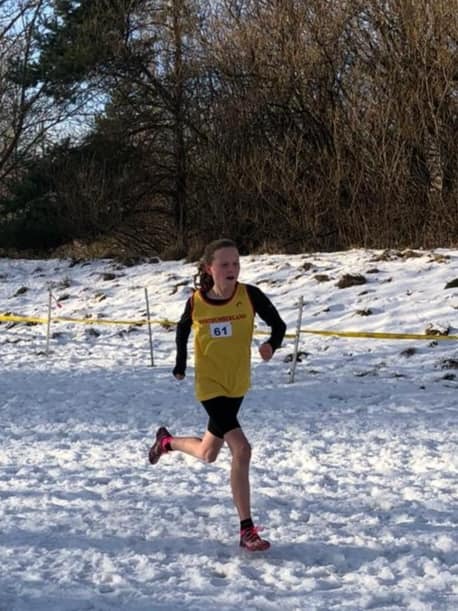 Lilia Purvis (Y7) was first to race and managed an excellent 18th place and was fourth counter for the Northumberland team. It was a confident race by Lilia and her result should be good enough to gain her a place on the county team for the Minors National Championship. Millie Breese once again had a superb race and having confidently won the County Championship went on to win this inter-county fixture against some excellent competition. It was a superb result and Millie will now progress to the English Schools’ Championship, which is held in Leeds in March. Lauren Brown and Hannah Johnston also ran well, finishing as fourth and sixth counters for the team. Max Murray-John was the only Alnwick Junior boy in his category but finished his 4km race in 55th place. The intermediate boys were lead home by Ollie Telfer in overall 37th and seventh counter, followed by Ben Murray-John in 42nd as eighth Northumberland boy home. Barnabus Harvey also represented the county, finishing 63rd . The runners represented their school, club and county admirably and most of them will hopefully go on to represent Northumberland at national level. Away from the thrills and spills of cross-country, Diana Weightman represented the club at the Clapham Common parkrun, finishing in 24.53. *A reminder to club members that annual subs are now due. For more information, click here.